Is religion a powerful force for good or is it “the opium of the masses” as Karl Marx derisively dismissed it? Worse still, is it the ideological basis of weapons of mass destruction, genocidal campaigns and unspeakable atrocities against people who are perceived as different? 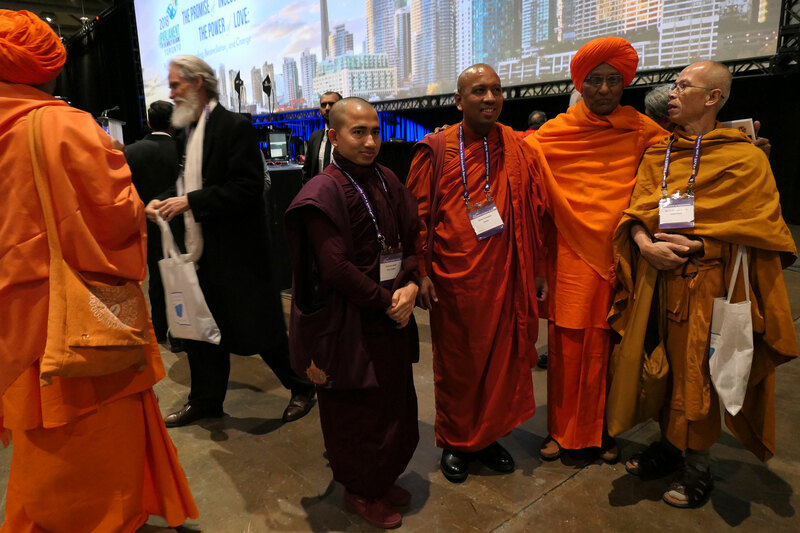 The 7th Parliament of the World’s religions that concluded last week in at the Metropolitan Convention Centre in Toronto took the positive view, and celebrated the world’s faith traditions as a bright ray of hope in a world plunged into the darkness of hatred and ripped apart by violence. “In every religion today we have small minorities who see beyond the horizons of their particular faith, who believe that religious fellowship is possible, not through the imposition of any one way on the whole world but through an all-inclusive recognition that we are all searchers for the truth, pilgrims on the road, that we all aim at the same ethical and spiritual standards,” wrote Sarvepalli Radhakrishnan, philosopher, scholar and former President of India in his book, Recovery of Faith. 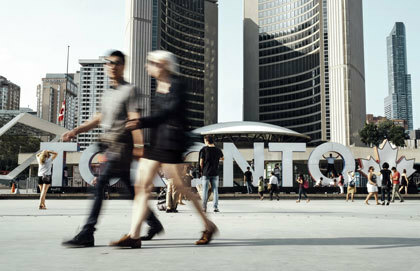 The 10,000 people from over 200 faith traditions and 80 countries who converged on Toronto for the massive interfaith gathering were indeed those idealists within their faith traditions as described by Dr. Radhakrishnan. They were there in a spirit of fellowship and a desire to understand more about one another’s philosophies and practices. They came to explore the ethical and spiritual values which all religions, --despite their differences-- hold in common, and to examine ways in which the combined voices of their leaders and communities can be harnessed to fulfill the vision of a more peaceful world based on justice for all. With 500 programs, plenaries, workshops, and dialogues, in addition to music, dance, art and photography exhibitions taking place over a period of seven days, the event was partly a discussion forum and partly an “Expo 2018” of the world’s faith groups. First Nations drummers and dancers rubbed shoulders with saffron-robed Buddhist monks. Hindu Swamis and Sikhs in their distinctive turbans, Christian priests wearing clerical collars and Crosses, Muslim women in hijabs and delegates of all stripes in non-religious attire. These were all powerfully inspiring and motivating messages for people of faith and goodwill, and building blocks for the ideal world of peace, freedom and justice that they dream of. 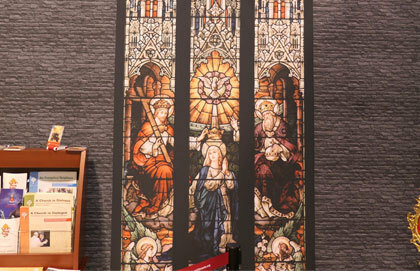 An exhibition hall filled with booths representing the various religions displayed religious literature, art, photographs, artifacts and objects of veneration. Unlike parliamentary proceedings, the workshops and panel discussions followed by questions and answers were more about consensus-building nature than opposing points of view debating the finer points of theology or practice. An unspoken code of “political correctness” appeared to permeate the sessions. Divided into six tracks or sub-themes — Women, Countering War, Hate and Violence, Climate Action, Indigenous People, Next Generations and Justice, the sheer volume of information was nevertheless overwhelming. But there were inspirational and informative moments provided by eminent speakers, and in the thoughtful discussions that followed. Sister Divina Pedro’s presentation on her ministry with First Nations people at Our Lady of the Snows Mission, Fort St. James, British Columbia, her moving account of their sufferings, and her efforts to heal their pain; also, the story of her efforts to help them revive their language, virtually lost through colonization and oppression. “Language is critical to their identity and they feel a sense of comfort when they can pray in their own language,” she said. Dr. Josephine Lombardi’s comment: “Leadership is not limited to ministerial priesthood. Women can lead in other ways. I’d like to see more input from women at the (church) governance level.” Sister Divina and Dr. Lombardi were panelists at the “Catholic Women on the Front Line: Evangelization, Care and Outreach” workshop. Cardinal Thomas Collins’ keynote speech in which he compared the situation of today’s refugees to that of Jesus, Mary and Joseph fleeing to Egypt to escape Herod’s wrath against the Jews. “It’s in our DNA to help those fleeing the Valley of Tears,” said the Cardinal, referring in particular to the Chaldean Catholics of Iraq, the Copts of Egypt and other Eastern Christians who lives are constantly in peril. “We work together with many different denominations and with the government of Canada to welcome refugees,” he said. He expressed a special concern for 22 Eastern churches such as the Chaldeans of Iraq and the Copts of Egypt and Eritrea who are in communion with the Catholic Church and are persecuted in their own countries. General Romeo Dallaire’s reference to the moral and ethical dilemma he faced when the world in general abandoned the people of Rwanda, caught in a brutal civil war. “My decision to stay and help them came from my church, my faith community,” he said, adding that as the Western world has become more secularized, that dimension of ethical leadership has been lost. Dr. Izzeldine Abuelaish, Palestinian-Canadian medical doctor, author and peace activist who spoke of learning kindness and tolerance from our children, referring to the three daughters and a niece daughter he lost when Israeli tank shells exploded on his home in Gaza. Overcoming his grief, he wrote a book, I Shall Not Hate, a moving tribute to the power of forgiveness and reconciliation as a liberating force. Irwin Cotler, Canada’s former Minister of Justice reminding the audience that this year is the 70th anniversary of the UN Convention on Genocide, and that religiously motivated violence-- such as the atrocities perpetrated against Myanmar’s Rohingyas and Christians and Yazidis of the Middle East—must be fought with passion and intensity. A resounding call to end religious intolerance and replace it with non-violence and freedom of religion by the Hindu reformer Swami Agnivesh, winner of the Alternative Nobel prize and an outspoken opponent of Hindu extremism in India. But the question remains: how can these messages reach and touch the hearts and minds of people who were obviously not present at this festival of interfaith fellowship, who politicize and distort the teachings of the world’s spiritual traditions and unleash orgies of violence and destruction on the world?